As an action-packed game entered the sixth of seven minutes of injury-time, another defensive lapse under a high ball cost Derrygonnelly and this time Paul O’Connor’s dominance in the air was decisive, breaking the ball down for Barry Fortune to tap into an empty net. Brave Fermanagh champions Derrygonnelly could not have tried harder to make a first Ulster final. 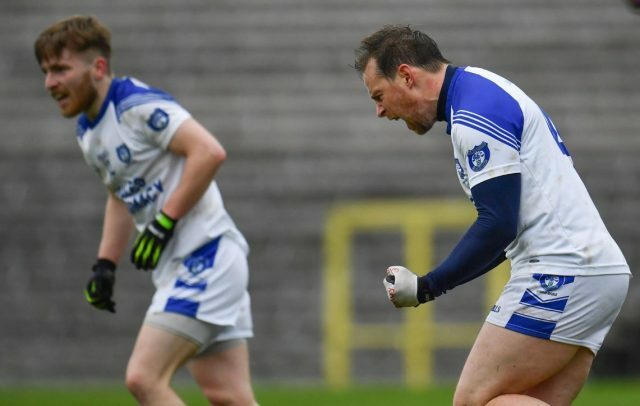 They conceded three goals in a five-minute spell before the break and O’Connor clinched his hat-trick three minutes into the second half to put Cavan six points up at 4-5 to 1-8. Yet Derrygonnelly showed great character to come back and Conal Jones’ spectacular goal, and a monster 50m point by magnificent skipper Ryan Jones, saw them take the lead three minutes into stoppage time. 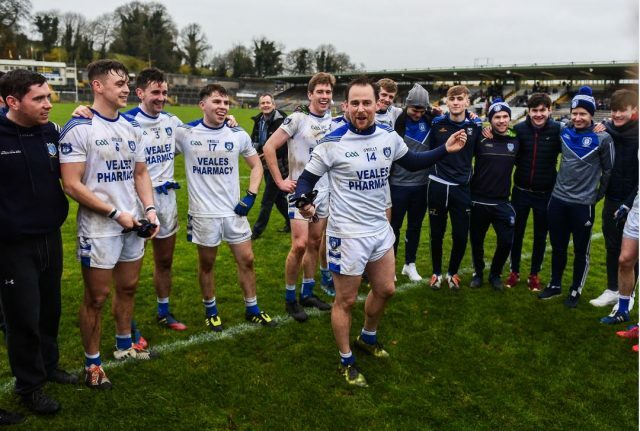 However Cavan Gaels – who haven’t lost a game in league or championship all year – somehow found a way with Fortune setting up a final clash against defending champions Slaughtneil next Sunday. Last week’s drab drawn game, which finished just 0-12 apiece after extra time, didn’t feature one sniff of a goal chance, but this game had everything. Derrygonnelly just couldn’t handle the aerial threat or physical presence of Paul O’Connor who scored three goals and had a hand in Fortune’s winning strike. 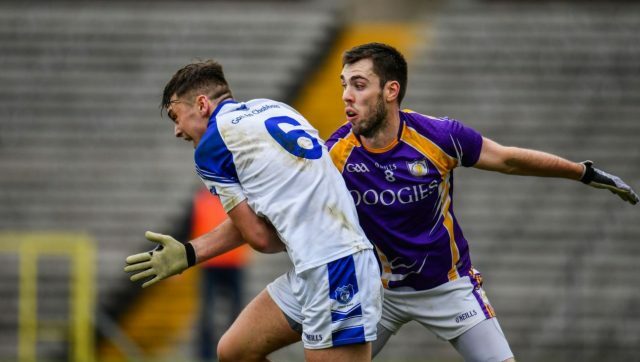 The sides were level three times in the opening quarter, Cavan defender Kevin Meehan with two from play while Paul Ward, Kevin Cassidy and Mickey Jones were all on target for the Fermanagh champions in a lively, fast-paced opening. The game went to another level following the goal explosion which saw four goals in a 14-minute spell. Paul Ward skied a point attempt but he was first to react when the ball broke off Stephen McGullion and nipped in at the back post to drill the ball low across goal. That put Derrygonnelly 1-3 to 0-4 ahead in the 18th minute and they remained the front-runners until Cavan hit them with three goals in five minutes. O’Connor won Martin Dunne’s high ball in and stepped around goalkeeper Dermot Feely to blast into an empty net after 26 minutes. The Dunne-O’Connor axis was again responsible for the second goal two minutes later, Dunne’s attempt at a point dropped short and O’Connor beat the ‘keeper at the near post to punch the ball into the net. Derrygonnelly were being killed on the counter-attack and Seanie Johnston’s goal came after a bad pass out of defence by Garvan McGinley. It was easily picked off and Kevin Meehan passed to Johnston who slid the ball home to punish the error. Derrygonnelly rallied with points from Gary McKenna and Ryan Jones to trail by 3-5 to 1-8 at half time. The Fermanagh side were slow coming out of the changing rooms after the break but any hopes they had of closing the three-point deficit were dashed when O’Connor completed his hat-trick a few minutes into the second half. Again, Dunne was the provider and O’Connor beat Feely in the air in a scrappy finish. Feely collided with the goalpost during the move and had to be replaced after a lengthy stoppage but Derrygonnelly didn’t give it up and hit 1-4 of the next 1-5 scored. After two Gary McKenna frees, the game caught fire again when Conal Jones fired in a brilliant Derrygonnelly goal from 15 metres out. Darragh Sexton briefly halted the Derrygonnelly fightback with a great point from the wing but Declan Cassidy and Paul Ward tied the scores at 4-6 to 2-12 after 53 minutes. Derrygonnelly thought they done enough when Ryan Jones’ booming point put them in front deep into stoppage time, but Fortune had the final say. Scorers for Cavan Gaels: Paul O’Connor (3-0), Seanie Johnston 1-4, Barry Fortune 1-0, Kevin Meehan 0-2, Darragh Sexton 0-1.